Art in the Digital Age: Text Portraits . . . Text Portraits by Ralph Ueltzhoeffer and Laura Maria May is a fascinating look at how information and personal data is being used as art. Poetry by David Hernandez . . . Hernandez’s poetry is both immediately accessible and satisfyingly complex. As if the poet used all his resources to create something new each time; each poem has its own logic, its unique perspective. The Mercy Troupers: A Short Story . . . As editor, I had the pleasure of working with Rose Deniz on this absorbing, lyrical short story. Deniz describes for us the transient, atypical life of Caramel, a teenager, and Orlie, her mother. The setting is a sort of religious trailer park in the desert. Caramel’s gradual discoveries about her situation is a powerful reminder of the stark difference between adult fantasies and youthful dreams. Interview with Rory Kurtz . . . Contributing writer, Lara Cory, sat down with Rory Kurtz to discuss the artist’s journey as a professional illustrator. Kurtz discusses the “learning curve” involved in being self-taught, the meaning of digital paint, and the artistic benefit of commissioned work. Interview with Andreas Levers . . . The sublime architectural photography of Andreas Levers made a huge impression on me when I featured his work in our Artist Watch. The following is an interview I conducted with the German photographer. Escape into Life hosts over 1000 contemporary artist profiles, and is also an online arts journal with contributions from nearly 25 different writers. Many of our contributors—ranging from well-known published authors, university professors, and freelance journalists—continue to publish art reviews and art history essays month after month. As an organization, we seek to promote the arts in all its forms. 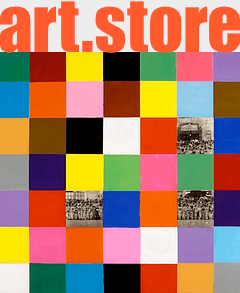 Our next milestone is to merge the thriving online publication with a viable online art store.